Deze encyclopedie bevat 328 pagina's. A comprehensive collection of enemies and items, potions to poes, an expansion of the lore touched upon in Hyrule Historia, concept art, screencaps, maps, main characters and how they relate, languages, and much, much more, including an exclusive interview with Series Producer, Eiji Aonuma! 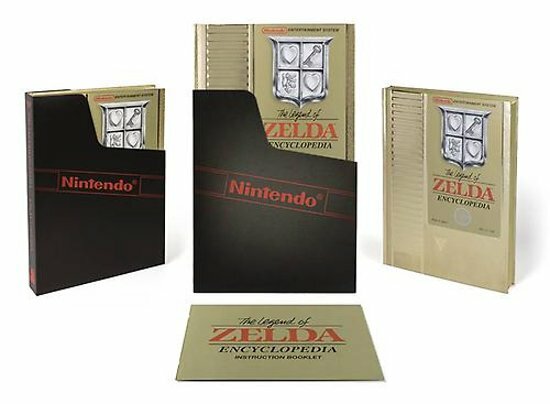 This, the last of The Goddess Collection trilogy, which includes Hyrule Historia and Art & Artifacts, is a treasure trove of explanations and information about every aspect of 'The Legend of Zelda' universe! Amazon.de € 67 inc. verzending.